Our media packs offer a greater saving than purchasing our replacement filter pads separately. The packs are based on our best selling combination and quantities of filter pads, based on their replacement intervals. 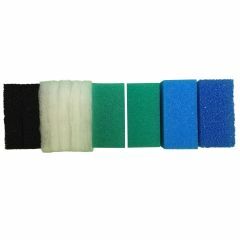 You are buying a pack of 50 Compatible Poly filter pads, and 4 Compatible Carbon filter pads to fit the Juwel Standard / BioFlow 6.0 filter. 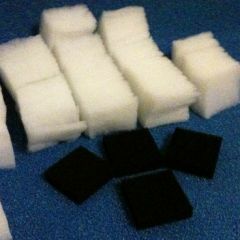 Quantity for sale: 50 Poly pads and 4 Carbon pads Filter Pad Specification: Poly Pads, Carbon Foam Poly Pad Measurements: 125mm x 125mm x 12mm thick. Carbon Pad Measurements: 125mm x 125mm x 25mm thick. It is recommended to change the poly pad every week, and the carbon pad every 4 weeks.